Our latest article on PowerPoint has just been made available before print on the Journal “Business and Professional Communication Quarterly”. To know more about it, you can get the full article on the Journal website: Kernbach, S., Bresciani, S. & Eppler, M.J. (forthcoming). 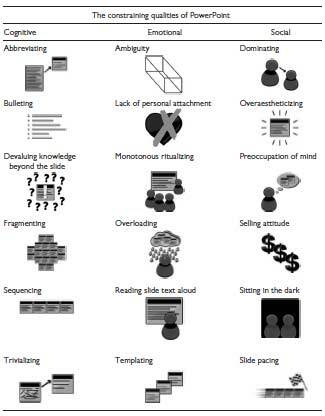 Slip-Sliding-Away: A Review of the Literature on the Constraining Qualities of PowerPoint. Business and Professional Communication Quarterly, Published online before print August 30, 2015. You are currently browsing the Sabrina Bresciani blog archives for September, 2015.